HTC set to unveil Android? TechRadar to attend May launch to "witness the next wave of innovation"
Speculation is rife that HTC could be preparing the way for the launch of an Android phone after the company sent out invitations to “witness the next wave of HTC innovation” at a launch event in May. TechRadar will be in attendance at the event on 6 May. 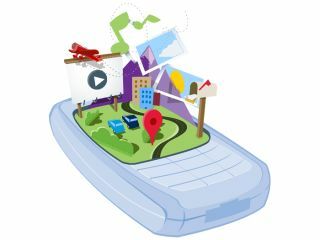 Pocket-lint believes the event could be a grand unveiling of a phone based on Google’s Android platform. HTC, the site notes, is known to be working on a number of handsets that use the OS, so the timing at least is right. HTC is also a founding member of the Open Handset Alliance (OHA) and presented Google with the first prototype phone, so it would be well placed to get something to market sooner than other manufacturers. The so-called 'Dream' phone from HTC that Google used as a demo model featured a touchscreen that could be viewed horizontally or vertically, and a swivel-out keyboard. It isn’t known whether the product lined up for launch will feature the same specs as the Dream handset, but TechRadar will be there to let you know.